Big Island police are asking for the public’s help in locating a 28-year-old man wanted for a sexual assault in Puna. A female minor was sexually assaulted early Sunday morning (June 22) in the Hawaiian Paradise Park subdivision. The victim did not suffer any physical injuries other than the sexual assault. 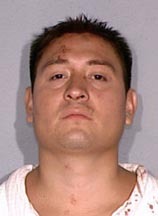 Police are looking for Mauro Martin Ortiz of Hawaiian Paradise Park. He is described as Hispanic, 5-foot-6, about 180 pounds with brown eyes and brown hair. Police caution the public not to approach Ortiz but to call police if they see him. Police ask anyone who knows Ortiz’ whereabouts to call Detective Alston Kimura at 961-2278 or the Police Department’s non-emergency line at 935-3311. Tipsters who prefer to remain anonymous may call Crime Stoppers at 961-8300 in Hilo or 329-8181 in Kona. All Crime Stoppers information is kept confidential.